Designed with a straight or feature shaped top with your logo and any text. Weatherproof - Constructed of solid aluminium with welded and sealed corners. Fitted with unbreakable clear safety front cover & secure with anti tamper locks. 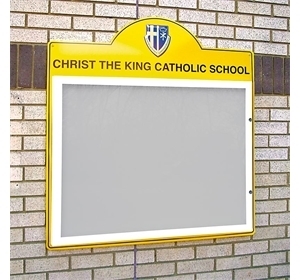 Complete with colour keyed pin board or magnetic insert. Painted white or to your school colour with colour keyed felted pin board. 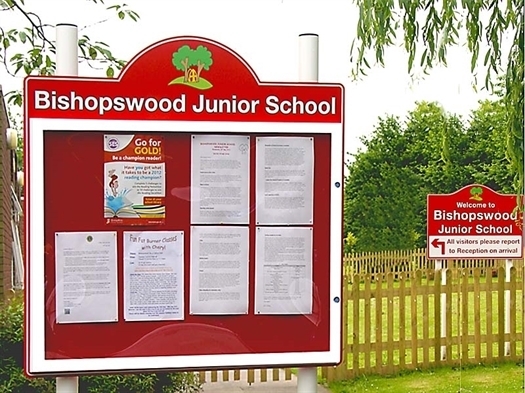 Mounted onto robust aluminium or aluminium composite main panel. 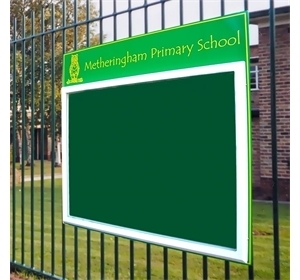 Available to fit to walls, railings or post mountable to new or existing posts and easy to install. 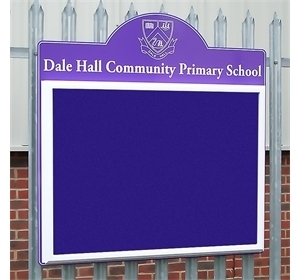 Elementary Signs Ltd are proud to offer our 'Popular' range of Outside Notice Boards for Schools. These notice boards are exceptional, we sell more of these than any other style of Notice Board. They are designed to be functional, easy to use, to look good and to be safe in the school environment. They are extremely robust. We offer a vast range of styles, colours and sizes. All are wall mountable, railings or post mountable. 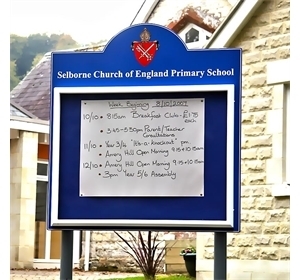 All are checked to be safe and secure, for use where there are youngsters and students. They are designed to give many years of useful life.